This group is the principal beneficiary of Beqa Adventure Divers’ Village Education program and three of its members, Sivo, Vili and Fabiano are already being employed at the dive shop. 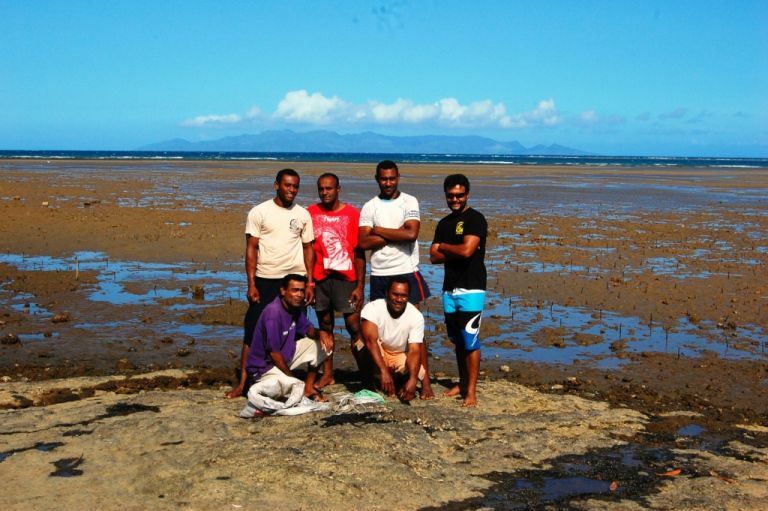 Sivo is the group’s president and having once worked together with Oisca, he has a solid knowledge of Mangrove restoration and is thus a member of the Mangroves for Fiji project team. The Youth consists of the various religious denominations in the village, the majority of which are Catholics. While some are employed, the majority dwell in the village and farm. The village youth aim to use the money earned from this scheme to purchase a billboard for their village as they have yet to install one. There are plans to continue with planting mangroves and future earnings will be used for village projects and developments. This group is in charge of the Galoa Village pilot project.